Blessington Manor is located just a walk from the bustling village of Blessington which has an abundance of pubs, eateries, churches and schools. 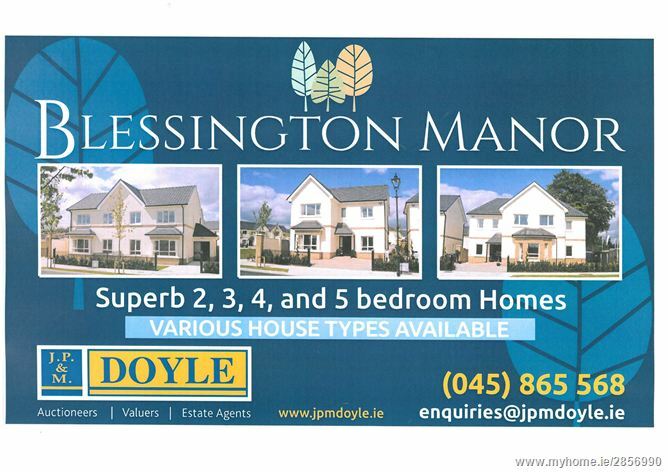 Blessington has kept its country feel yet has been greatly enhanced in recent years with the New Town Centre Development which incorporates various retail outlets including Dunnes Stores. The Avon Ri Holiday and leisure resort is a short stroll away with holiday accommodation and the beautiful il Lago restaurant overlooking the Blessington Lakes. Recreational facilities available in the area are exceptional. Sporting enthusiasts will feel at home with the Blessington lakes a stone's throw away. There is a wide variety of land and water-based activities centred on the lakes, including fishing, walking, windsurfing and rowing to mention a few. There is a host of local sporting clubs. The recent completed 20 acre GAA facility is a short walk from the development. For the racing enthusiast Punchestown, Naas, and The Curragh race courses are all closeby. The vicinity is adjacent to a selection of golf clubs including The K Club, Tulfarris, Rathsallagh, Slade Valley, Beech Park and Palmerstown Golf Club. 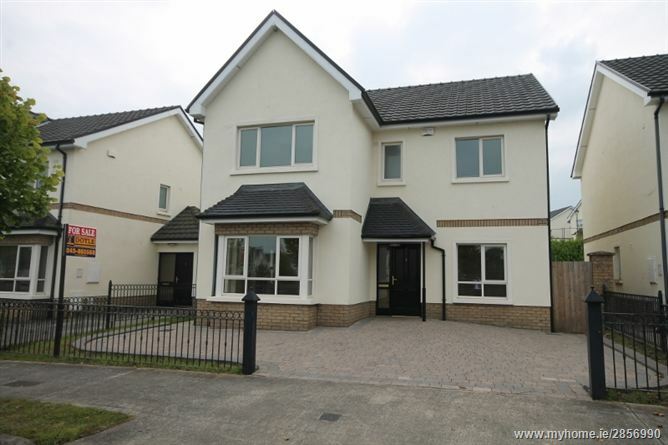 Blessington is served by the N81 which give ease of access to Citywest, Tallaght, the M50 and Dublin City Centre. Commuting to Dublin has also been made easier with the Luas park and ride facilities at Saggart, the Square Tallaght and the Red Cow. In addition the 65 bus operates from the village.